The Secret Witness Program is offering a reward for information that leads to an arrest in the following homicide case being investigated by the California Highway Patrol. Steven Alvidrez, 52, was killed on June 17, 2011, shortly before midnight when a hit-and-run driver slammed into the Harley-Davidson motorcycle he and his wife Ramona were driving. Ramona Alvidrez suffered moderate injuries and was taken to Kern Medical Center after the motorcycle rolled over, throwing herself and her husband. Steven Alvidrez died at the scene. The crash happened on Highway 99 just south of Delano. Witnesses described a suspect vehicle as a gold Chevy Cavalier. 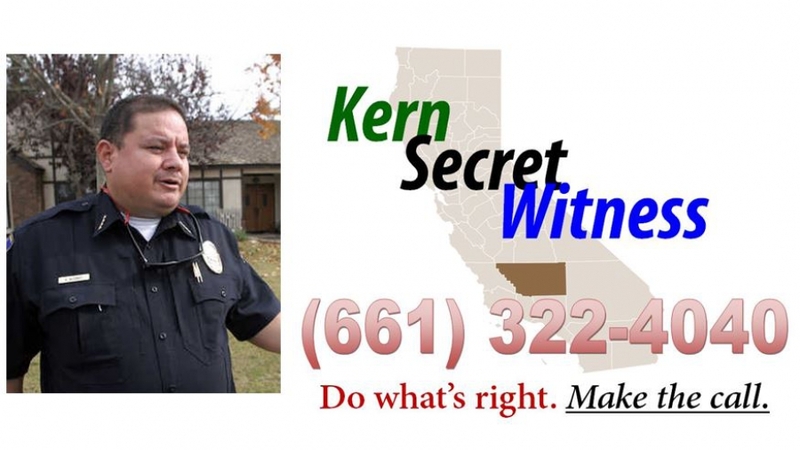 Steven was the Chief of the Kern High School District Police Department. Anyone with information is asked to call (661) 322-4040.